3 Bed, 2 Bath 1, 390 Sq Ft Single-Level Home in a Fantastic Location within walking distance of Shopping andConveniences. 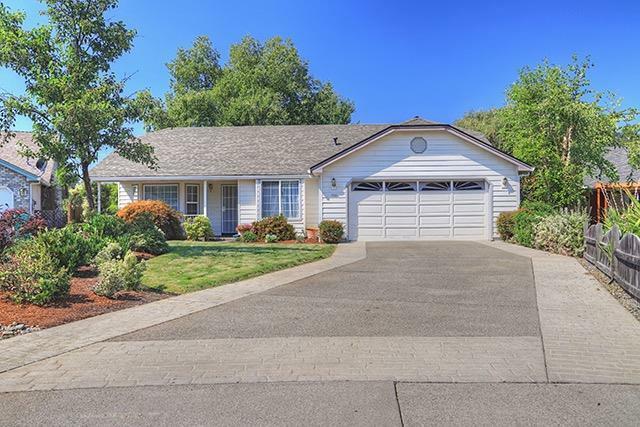 This Home offers a Pleasant Open Floor Plan and Vaulted Ceilings throughout! Nicely situated on a Quiet Street withlittle traffic. The Large .17 Acre Lot allowsfor Nice Front and Rear Yards. The Oversized Two-Car Garage offers ample Storage and Shop Space. There is plenty of additional parking on the Paved Driveway as well as the Street.Easy-Care Landscape means your life won't be consumed with maintenance. Home backs up to a Large Parcel, perfect to enjoy peace and quiet in your backyard. This is a Very Nice Home and Property in a Wonderful Location! Directions: West out of Grants Pass on Redwood Hwy. Left on Allenwood, then right on Schtuzwohl Lane. Left on SW West Harbeck to the Subject Property on your right. Well Marked. Watch for Address and Signage.